Purchasing, Refinancing, or Remodeling Your Home? Nominated Best Mortgage Company on Long Island, New York 2019! We're thankful to be nominated for Best Mortgage Lenders & Companies in Long Island, NY 2019, by Long Island Press. A group of dedicated and talented Long Island mortgage brokers serving New York and Pennsylvania, whose ethics are based on honesty and integrity. We make sure your best interests are our first priority and that the home loan we get for you is stable and affordable. Jim made our home buying experience seamless! As first-time buyers/borrowers we needed a lot of guidance and Jim was so patient and attentive. Would highly recommend!! Dion was always there to answer questions and give advice, as far as I am concerned he was upfront with all my questions. Good agent. I couldn’t have imagined that the process of purchasing a home as a first time homebuyer could have gone so well. Artisan Mortgage Team is amazing and I’m thankful to have had their guidance and support through this process. Thanks Jim and team! Let us know what you want to achieve! We will help you with your entire mortgage financing needs including these products and more. When you contact one of our loan officers to discuss mortgage financing, we will help you understand what you can afford before you search for a new home. If you’ve experienced credit problems you’re not alone. And while you’re probably eager to start rebuilding it today, many lenders won’t give you a chance. Let us help. Finance your home in New York or Pennsylvania and start rebuilding your credit today with help of our experienced loan officers and bad credit loan. Financing Available for Home Repairs and Upgrades! Today's smart homeowners understand the value and benefits of remodeling projects of any kind! Home financing may be sensible way to invest in your home and increase its value over the long haul. Give us a call today to see how much you qualify for FHA 203k – home renovation loan. Popular among first time home buyers because these programs do not use credit score, and do not require much credit history. These loans generally have lower down payment requirements, making them a possible solution for Veterans and their spouses. VA mortgages are guaranteed by the Department of Veteran's Affairs. 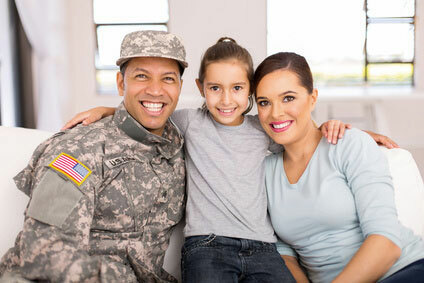 VA loans feature 0% down payment, allowing qualified Veterans the convenience of 100% financing. When you can't prove your income or when you're self-employed our team of knowledgeable loan officers can help you get a great loan regardless of proof of income. We don't see this as an obstacle at all. We can show you why. We have some great, affordable First Time Home Buyer Programs 2019 available! Stop your family and friends from throwing away hard-earned money by "renting" every month. Why rent when we can help them own! You probably know someone who can actually own a home for close to what they pay in rent! After all, there are so many flexible, innovative first time home buyer loan programs 2019 available in New York and Pennsylvania. Today, there's almost no reason they shouldn't at least try to buy! Building a home is one of the largest projects you will ever undertake. Custom home construction can take anywhere from several months to a year. During this time, you will need to pay for labor and material costs. Our loan officers can help with construction and permanent financing that saves you time and money. Contact us today to learn more about construction loans and available financing options. We can also provide experienced underwriting for clients who have commercial real estate financing needs. A reverse mortgage is a unique home loan which enables senior citizens to recapture a portion of the equity in your home and use this equity in any way you so desire without having to make any monthly payments. If you are not 62 years of age or older, do you know someone who is, and would be interested in learning about a reverse mortgage? If the answer is yes, please give them our contact information, and we will be happy to assist them. Let Us Help You Turn Your Dream Home Into Reality! Congratulations! You've found the perfect home. Or have you just started looking for your dream home? Either way, we can help. It's time to choose the home loan that's right for you; but how? At Artisan Mortgage, we give you the tools to make the decision easier. We tailor our Fixed, Adjustable and Combination Rate loans to fit your needs, and offer a variety of terms for most products. If you're looking for the most attractive mortgage that requires little or no down payment, our experts can help you with the most favorable of terms. FHA mortgages are insured by the Federal Housing Administration and an FHA loan usually features a down payment of 3%. Artisan has a full spectrum of traditional-type programs at the best available rates. Many offer smaller down-payment options and lower closing costs than typical. Purchase loans for residential, investment, and commercial properties. These include conventional, FHA, VA, USDA, fixed or variable rate loans, balloon, and more. FHA 203k, home construction and land loans to build that brand-new home, a dreamed-of vacation villa, or your own office building. Home equity or refinance loans to take cash out for home improvements or other expenses, consolidate debt, lower your interest rate or payment, or use your equity to purchase another home "non contingent". The industry is experiencing a shake up, but there are still excellent loans to be had. One of our strengths is originating home loans for buyers who don't qualify for traditional products. Reverse mortgage to allow homeowners age 62 or older to remain in their homes and receive their equity in monthly payments. If you don't qualify "today" for a home loan, we'll work with you to help set you on a path to ensure you'll qualify tomorrow. We'll look at the long term, and that's something most brokers just don't do. We believe in promoting home ownership with fair terms. We are a resource for families seeking to realize the dream of home ownership. Whether you're a first time home buyer in Valley Stream, refinancing your existing mortgage in West Babylon, or just seeking information on FHA 203k home improvement loans in Queens, Brooklyn, Staten Island or Manhattan, NY we are your one-stop source. We, at Artisan Mortgage represent various lending institutions to fund your home loan. Therefore, whatever your needs, our professional representatives can match you with a suitable home loan program whether you're in Hempstead, Bay Shore or Brookhaven. We help people regain control over their finances by putting more of their hard earned money back in their pocket. We do this by providing solutions that lower monthly payments, pay off high interest debts, or provide cash for needed expenses. 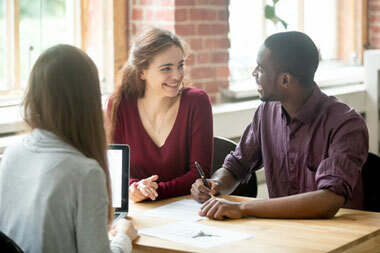 Finding a mortgage for your home or your investment across Long Island, Nassau or Suffolk County can be a confusing experience, especially with so many options to choose from. Our loan officers will guide you through the qualifying process whether you're in Pittsburgh, buying home in Harrisburg or refinancing in Allentown, PA do the shopping for you and explain all your options thereby assisting you in making a fully informed decision. And, if your credit has been less than perfect or your income is difficult to verify, for all first time homebuyers we can help you experience the dream of home ownership with a special Bad Credit Home Loan across Queens, Brooklyn, Staten Island or Manhattan, NY developed just for you. Why Do so Many Choose Artisan? Whether you're in Great Neck, Commack or Garden City, NY you get a dedicated mortgage broker that is hands on throughout the process. We are Long Island, NY loan origination company that's has years of experience in getting mortgage loans closed quickly and correctly across NY & PA States. We offer a thorough pre-underwrite of your loan file ahead of submission. When you want your loan done correctly the first time utilize our knowledge to avoid potential issues and problems before they occur. That's how easy we make it for you to purchase a home in Buffalo, get a FHA loan in Rochester or refinance in Syracuse, NY regardless of your needs or financial situation. We offer certain home loans that don’t require traditional income documentation. If you have had a bankruptcy or foreclosure in the past, we will work hard to find a loan for you. We have flexible underwriting without rigid formulas and percentages. Especially in today’s real estate market, debt levels are on the rise. You are more than just a credit score – we review your entire credit profile.